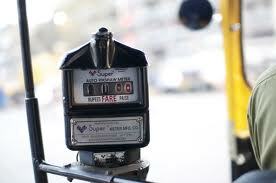 The Kerala Legal Metrology department will issue a fare chart for autorickshaws based on the recent hike in the fares. The chart is aimed to help passenger and auto drivers to avoid quarrel among each other since the meters were not programmed to suit the new hike in fares. According to the LMD, it will take three to four months to install the new fares into the meters and until this it is advised to paste the fare-distance chart in the autorickhaws of the state.